When I wrote my first graphic history, based on the 1876 court transcript of a West African woman who was wrongfully enslaved and took her case to court, in 2012, I received a diverse and gratifying range of feedback from my fellow historians. Their response was overwhelmingly but not universally positive. 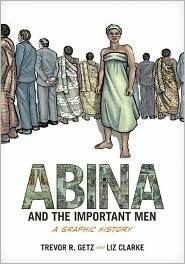 Abina and the Important Men is an interpretation of the testimony of a young, enslaved woman who won her way to freedom in late nineteenth century West Africa and then prosecuted her former master for illegally enslaving her. October 21 marks the 155th anniversary of the date that she forced a British magistrate and a jury of eleven affluent and powerful men to hear the charges she was making against an influential male land-owner.